We are Macon-Bibb, Georgia’s first grassroots bicycle and pedestrian advocacy group working to enhance mobility to create a more vibrant, healthy, and equitable city. 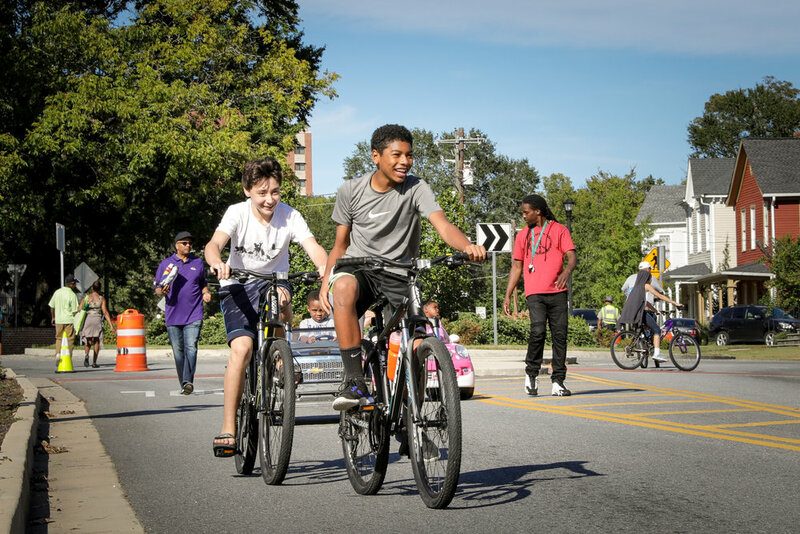 Bike Walk Macon was initially supported by the 8 80 Cities Emerging City Champions fellowship program, which is funded by the John S. and James L. Knight Foundation, in July 2015. Through community leadership and inclusive engagement, Bike Walk Macon has become the city’s voice for all things biking and walking. We seek to make active transportation an option for all Maconites, no matter where they live or where they're trying to go. We work to make our transportation network support active living and additional commuting options. Sign up with your email address to receive Bike Walk Macon news and updates.